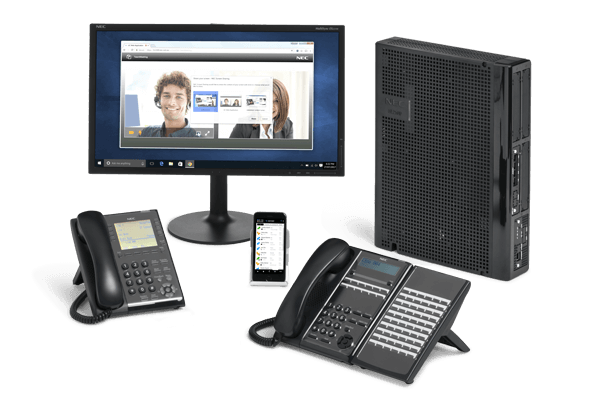 The SL2100 provides a powerful unified communication platform – built for small business. With VoIP capabilities, the SL2100 puts Unified Communications (UC) within reach of small businesses, yet still provides superior support for traditional telephony; ensuring total flexibility for every deployment. The NEC SL2100 8 Button Self-Labeling IP Desktop Telephone is elegantly designed and feature-packed for offices that utilize VoIP on the SL2100. With 8 self labeling buttons, the phone is easy and intuitive to use. The NEC SL2100 24-Button Digital Telephone is elegantly designed and feature-packed digital phone. With 24 programmable feature buttons, the phone is easy and intuitive to use. The NEC SL2100 12-Button Digital Telephone is elegantly designed and feature-packed digital phone. With 12 programmable feature buttons, the phone is easy and intuitive to use. The NEC SL2100 60-Button DSS Console (Black) adds 60 programmable feature buttons to the SL2100 Telephones. Mainly designed for operator use, the DSS console gives a multiline terminal user a Busy Lamp Field (BLF) and one-button access to extensions, trunks and system features.